You are cordially invited to a special meeting of WC’s Refugee Initiative at 7:00 p.m. on June 8 in Rm 3204 of our Adult Ed Bldg. With 24,000 newly arriving refugees expected by Sept. 30, 2017, your efforts are more appreciated now than ever! Please join in our talent team leaders’ discussion of ongoing and future activities. 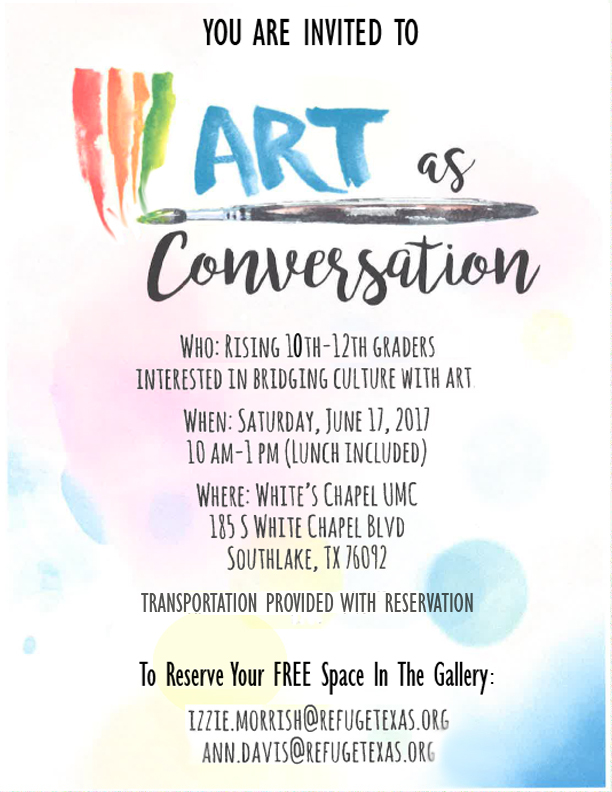 Hear compelling stories of members’ recent work and learn about “Art as Conversation”, a youth initiative happening under WC’s refugee banner on June 17. This unique event will gather American and refugee youth from nine different cultures, all focused on the emblems that matter most in their lives. 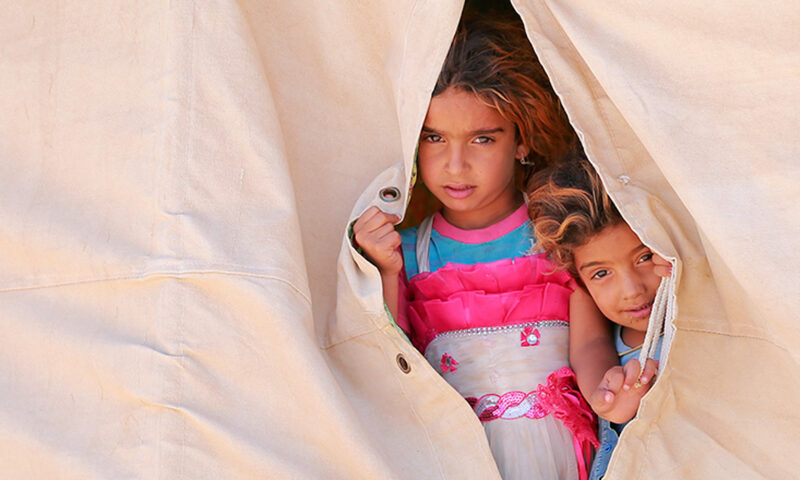 If you can drive 3-4 refugees from Ft.Worth to or from Southlake on June 17, please email me at davis.ann.k@gmail.com. Justin Nsenga’s non-profit PFRE needs help with grant writing. He also has several families desperate for mentorship and a large group of adults ready to learn English on Sat. mornings. If you can help, please contact him at Justin@pfre.org . If you trained for general outreach through RST (Refugee Services of Texas) and want to receive emails citing a specific week’s volunteer options, please contact Ayesha Hassan at 682 200 3834. Commitments can be long- or short-term. White’s Chapel’s Refugee Initiative is not standing still! New members are welcome! Come run with us – starting on June 8!